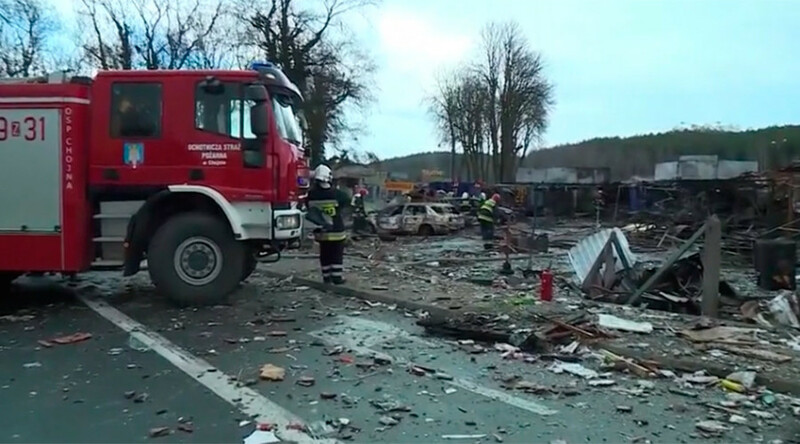 At least eight people have been injured in an explosion and a blaze at a fireworks stall in a market on the Polish-German border. Eyewitnesses were quick to post videos of the shocking blaze on social networks. 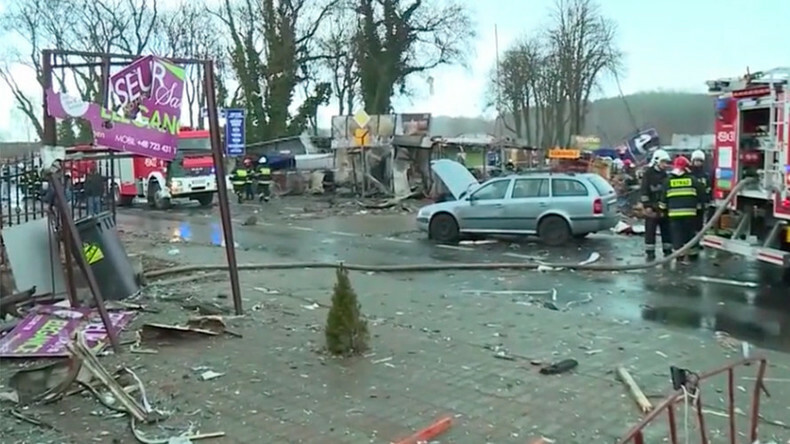 The explosion took place at 12:50pm local time (10:50am GMT) at a fireworks stall in the village of Osinow Dolny, Poland's westernmost settlement, spokesman for the police in Gryfino, Poland, Bogumil Prostak said as cited by Polish news outlet Chojna24. The village has a large fireworks market, which is also popular among Germans living close-by. The explosion caused a fire, that quickly spread across the stalls. Sixteen fire brigades have been called to tackle the massive flames. The fire has now been brought under control, with fire-squads and police sorting through the debris to make sure no fire hazard is left. Prostak added that the market is almost entirely destroyed, stating that the “damage is considerable”, with some 50 stands completely burnt down. Several cars parked in the area were destroyed by the fire as well. Three Germans are among those who were injured in the blaze. All of the injured have now been taken to local hospitals. The police and prosecutors have launched an investigation to determine the cause of the explosion.